Harajuku girls in boho chic fashion with kaftan dress, paisley print maxi dress, pointy flats, platform sandals, headscarves and colorful accessories. 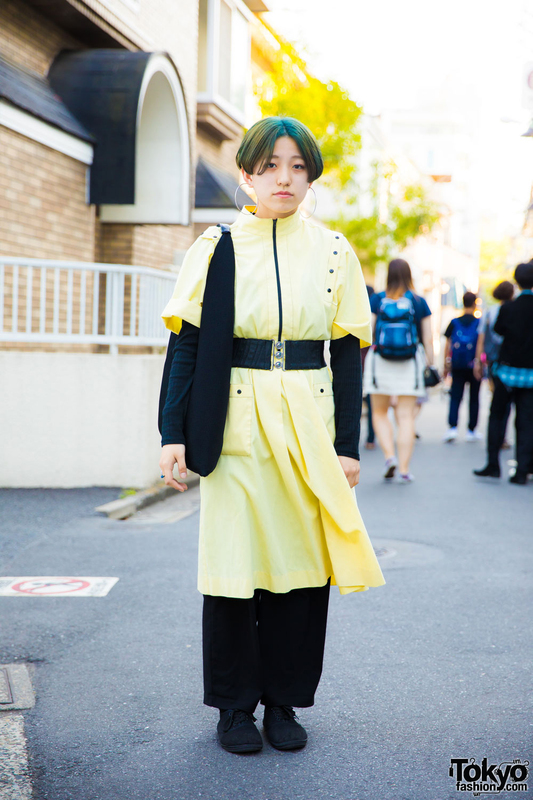 Harajuku girl in resale minimalist style with black sweatshirt and pants under a yellow dress, black belt, tote bag, sneakers and accessories. 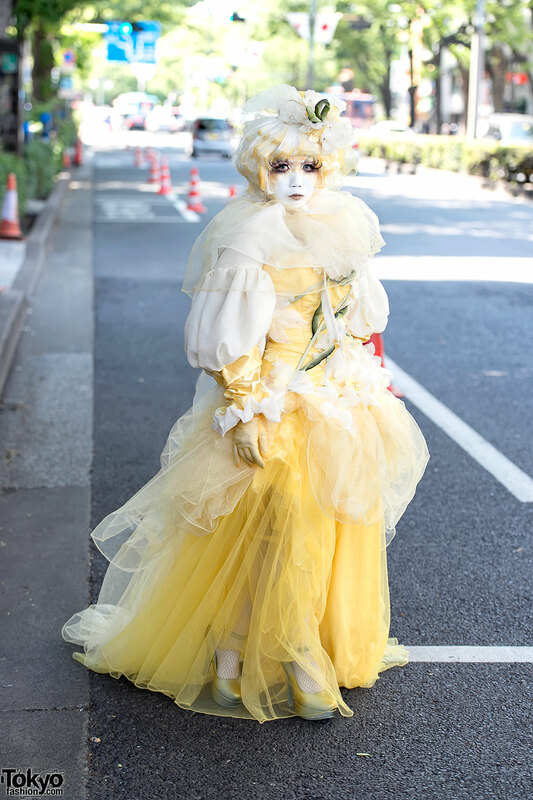 Japanese shironuri artist Minori on Omotesando Dori in Harajuku wearing a yellow chiffon dress with vines and flowers along with a matching headpiece.